Please join Family Office Insights for this evening gathering on Tuesday, June 26th 2018 from 5PM – 7PM, at: eBay Inc 625 Avenue of the Americas, 3rd Floor, New York, NY, United States. If you care to join us, please email admin@familyofficeinsights.com. 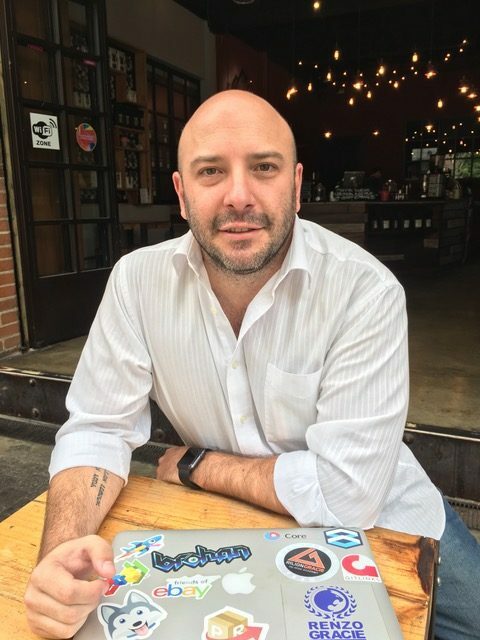 Family Office Insights sits down with Alberto Sobalvarro of PideloRapido to discuss his pioneering FinTech and Integrations company operating in Latin America. Available on web and mobile apps, PideloRapido creates the next e-commerce user experience enabling Latin American consumers unrestricted access to the US online retail market, through its unique technological integrations platform. In doing so, PideloRapido also grants US Online retailers a zero risk, cost effective entry gateway into Latin America and its soon to be +400 million online consumers. Q: Tell us about your background and your company, PideloRapido. I am a misplaced Guatemalan born in Ecuador. I went to school in the States and became a consultant for a Brazilian brewery. When I left that company and landed in Guatemala to visit my parents, I spoke to my father about what to do next. I realized I wanted to be an entrepreneur and build something. I ordered something from Amazon, but it failed to deliver to my address in Guatemala, so I tried it again to a P.O. Box service. I realized that I didn’t know how much this delivery would cost me using an international carrier with the extra hidden fees. I knew if I could fix this issue for myself, I could fix it for 15M Guatemalans. This was a big opportunity to grow e-commerce in Latin America. I decided to build out a platform that would make it clear and simple and fully acceptable for people to order things online. Initially, I wanted to see if local e-commerce was an option as connectivity to the Internet was high, but the local retailers didn’t have the platforms to sell online. This is why I turned to the importer route. My team and I built out a platform that would not only ship, but also provide a fixed final cost item from the U.S. to Latin America. We wanted to innovate on how people ordered online from US retailers in Latin America. Our company, PideloRapido, has 4 systems working in tandem. When the consumer uses our platform and does a search for an item, the first system kicks in tagging products in real time with import duties on the inventory available online. This is done through AI and Machine Learning. If I search for a phone case on eBay, our system will tag all the data on eBay and cross compare it with the import duties to determine what the duties and taxes are for it. It will also extract the main price and weight for that item. That information is then sent to a vertical logistics operator system that creates a real time quotes of services needed to get that item to the final destination. We get quotes from whoever is interested in managing this cargo into Latin America with customs clearing, charges, duties, and international fees. Once we get that quote, we combine it with the extracted price and weight to provide a clear final price to the customer. These 2 systems can quote any item on the Internet for the customer to let them know the final price to be delivered. Once the customer agrees and accepts it, they add it to their cart. This cart is the 3rd system. It enables customers to shop online by adding a jacket from Amazon, shoes from Zappos, and toys from ToysRus all in a single cart. This allows for single payment, checkout, and tracking. It’s a universal shopping cart simplifying the experience for the consumer. In order for the consumer to pay for its cart, this system replicates the local financial ecosystem to allow for all forms of payment. We accept credit, debit, ACH, cash, loyalty points, and a mix of these. This is important because Latin Americans spend their money differently than U.S. consumers. Latin Americans like to mix and match: 50% on installments, 25% on credit cards, and 25% in cash. We replicate the culture of spending to make it more relatable to the Latin American consumer. Our 4th system is the drop-shipment robot. It was developed for scalability. It enables us to allocate multiple orders into multiple retailers without someone having to do it manually. It automates the tracking process. This last system also allows for tracking data transfer to our logistics partners and permits full view of tracking for the consumer. We spent the last 4 years developing these systems. While we were looking for funding, a potential investor introduced us to the eBay Accelerator Director. We spent 8 months at their headquarters in NY and developed a project that directly integrates into eBays inventory, allowing unrestricted acces to this inventory from Latin America. We are currently the first and only company to be accepted into this program. As a foreing client, Latin Americans can only access about 25% of eBay’s inventory when they log in from a foreign IP. The other 75% is considered U.S. only inventory that is only made available to those with verified U.S. email addresses and PayPal accounts. Our integration to eBays technology makes U.S. inventory available to Latin America consumers without needing to have a PayPal account. We also have strategic partnerships with Visa Latin America. We are working to launch a project in Colombia on July 16th. We also participated in the Citi Mobile Challenge set by Citibank in 2014. We won as the Most Innovative Solution and were set to launch our pilot, but unfortunately, Citibank sold their Latin America operations at that time. Our other partner is Claro, which is the equivalent to a major mobile carrier in the U.S. like AT&T. 1. Our platform operates in 4 countries in Latin America. We fine-tuned it so we know it works and is validated by these partnerships. We are ready to scale. 2. At the end of the day, the final vision of the project is twofold. We are not building a platform that will grant U.S. inventory into Latin America. Our company’s plan is to build the first borderless e-commerce platform in Latin America. We are eliminating that cross section and being innovative. By eliminating borders, we are aiming to finish fine-tuning it and scaling it so that any Latin America consumer can access U.S. inventory and integrate small and medium businesses locally to develop and scale e-commerce regionally. 3. Latin Americans tend to run before they crawl. They all want a mobile app, but don’t know how to sell. The industry has shown us that the trend is not to have a stand-alone website anymore. The Internet is saturated, so for you to be successful you have to live on the first page of Google. Latin Americans don’t understand the extent of the backend of setting up a business including SEO, logistics and payment, and integration. We are building out a marketplace of merchants as a hybrid of Amazon, eBay, and Alibaba. This all falls into why we are building a borderless platform. Currently we are finalizing beta testing and enabling the import process. We are ready to build out the local commerce systems. We are leveraging our technology, partnerships and maximizing the level of consumers that can be reached. We are launching in Colombia because it is a rapidly growing e-commerce market. Everything is happening in Colombia. There’s a big focus from Visa partnership there. It’s the perfect mix of interest, growth, and connectivity. We’re going to a market that will be big very soon. The target consumer base is anyone with disposable income and a need for an item. On the small and medium enterprise side, our target is everyone who wants to sell online, but doesn’t want to go through the process of setting up online and having to communicate it. Education is first. People need to understand the benefits and reliability of shopping online. The difference between shopping online in the U.S. and Latin America is the legal system. We need to educate the Latin American consumer that shopping online is a safe platform. Latin Americans are untrustworthy of their own shadows. They trust western brands like Amazon over their local companies. We need to create that ecosystem and space of trust. The other challenge is replicating that trust to let them know if what they ordered does not meet their expectations, there will be someone who will handle the returns. We want to give them a sense of security that this isn’t a fraud. We don’t educate ourselves enough as a population and have become very cautious of change. The difference is that it is 2018 so Facebook and Google have opened their minds. We just need to on-board them onto an e-commerce platform. We are proposing massive access to these inventories through our partnerships. We are a Latinized platform. We are Latin Americans servicing Latin Americans. We understand the needs, the dos, and the don’ts in order for them to have more trust. What’s important about this is Latin Americas connectivity to the Internet. It’s second highest to India and China. Through this, Latin America will have 3x the U.S. market by 2020. Latin America will be the next big online e-commerce market. For the U.S. investor, this is important because people will take notice just as Amazon and eBay took notice. Our proposal is to go to the markets that they are not going to. It’s a strategic and smart investment. Technologically, there are other platforms that want to replicate what we do, but their technology is not as good as ours. The existing carriers are trying to catch up. We benefit the consumer at all points. We compete against local retailers and the importers. The vision is really big. It’s tricky to communicate it to someone who doesn’t understand the idiosyncrasies of Latin America. We are building something that doesn’t exist. We are innovating the industry and fast-forwarding the e-commerce industry in Latin America. Big players like amazon ave not been ab le to tackle this. Although they have worldwide operations, you can’t shop the Amazon UK shop as a U.S. customer. We grant unrestricted, borderless inventory access. We are 75% ready to do this in Latin America. Our system is predicated on the nuances of Latin Americans. The important factor of this is that we can then replicate it in Africa, Eastern Europe, Asia, and beyond. Most of the problems we face are shared by those nations who have not gone through the U.S. western style education process. We are looking to raise $10M in two $5M tranches. We have so much in our arsenal that we can do so much even with $1M, but for the U.S. investor to get in early with all the opportunities in the Latin American market, we know this is a long-term play with growth in the foreseeable future. In order to prepare for this, we would like to have capital on reserve. We are looking to raise $10M in two $5M tranches. The vision is big and so are the challenges. Although it sounds like a small amount, we are bootstrap company that seeks maximum impact for our investors. This opportunity for the U.S. investor to get in early with all the opportunities in the Latin American market will be a smart strategic investment that will yield exponential returns in the foreseeable future. In order to prepare for this, we would like to have capital committed to guarantee success. We’ve always been a bootstrap company. We know $10M is what we need to execute on our plan throughout Latin America. So currently we’d like to raise $5M so we have breathing room for the next 24 months, and then raise the remaining $5M after that. As a founder I understand the need of surrounding yourself with key people. No one can build it alone. I look for people who want to build this project with us. The ideal investor is somebody that understands and knows something about Latin America and how it works, where the opportunities are, and how they can benefit from that by solving this problem. It’s important for us to have a strategic investor who can provide ideas, information, and contacts. My mission is to create the next borderless e-commerce platform in Latin America. We are focused on solidifying and expanding our partnerships. Adding value to our investors by making the company profitable and continue to drive innovation in one of the worlds most interesting and growing tech markets. To ensure this, we are currently working on a deal with one of Latin America’s largest TV conglomerates for an investment in airtime worth $30M. As a co-founder, Alberto is responsible for bringing the PideloRapido idea to life, from conception to executing the necessary business strategies to for product launch. Under Alberto’s leadership, PideloRapido has successfully positioned itself as a regional innovator, gaining various industry awards and capturing the interest of major e-commerce players like eBay and payments industry leaders the likes of VISA. Before becoming an entrepreneur, Alberto worked for AB InBev as a marketing and innovation consultant in Latin America. 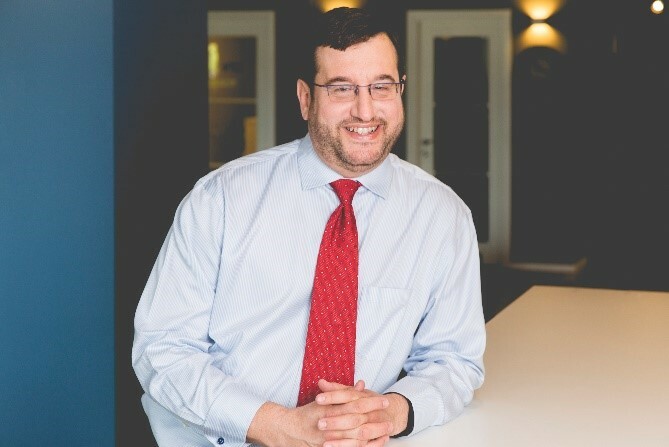 As a Six Sigma Greenbelt, he was able to lead teams and execute on strategies that have helped position AB InBev as a market leader in its industry. Alberto is a father of three, who enjoys spending time with family, mostly outdoors or reading. He trains Brazilian Jiu Jitsu and has obtained blue belt through dedication and hard work. He is a current active member of Entrepreneurs Organization (EO) Guatemala Chapter and was nominated for the prestigious Young Manager Award 2017 for the Guatemalan General Managers Association. Alberto has actively participated in Industry events, most recently as a panelist for Smart Cities NY and as an active speaker for Latin Americas largest e-commerce event, eCommerceDay, with participations in Bogota, Colombia and San Jose, Costa Rica. If you have any questions, please contact Alberto at asobalvarro@pidelorapido.com.